The Internet was invented by scientists, so that they could share scientific information with each other. Today, however, it is used by all sorts of people, for all sorts of purposes. Some emotionally disturbed people use it to irritate people who would never interact with them socially. Don’t let them do this. Don’t argue with them. Just delete their comments and block them. For many years, I’ve worked as a technical editor and writer. As a result, I’ve had the privilege of proofreading the work of some truly brilliant, highly educated people. I’ve also had to write highly technical material that was then reviewed by experts. The review process is usually cordial and intellectually stimulating. Educated people are generally grateful when you fix their typos and their dangling participles. They tend to be tough but fair when criticizing your writing. They generally stick to a rational discussion of facts. So I was unprepared for the kind of comments I got from the general public after I started blogging. Occasionally, someone would say something like, “Wow, that’s interesting.” But most of the comments are nothing more than poison pen letters: abusive nonsense intended to serve no other purpose than to provoke an emotional response. In short, I often get attacked by Internet trolls. I have a Web site and blog (www.gorillaprotein.com) that explain scientific research about human nutrition. Reactions to my Web site and blog are mixed. People who have actually studied nutrition or dietetics in college or graduate school love my work. However, many people who have no training in nutrition or dietetics hate my work, simply because I tell them things that they do not want to hear. They want to hear that fatty foods are good for them. As a result, they worship the self‐appointed nutrition gurus who tell them to eat meat and fish instead of potatoes. They heap scorn on me for pointing out that people who eat a diet based on unrefined starches and vegetables are generally slim and have a low risk of chronic degenerative diseases. As a result, I get a lot of hostile comments on my blog and even some hostile email. I’m disappointed that nobody seems to post serious comments about the scientific issues I discuss. Instead, the feedback is filled with nonsense, insults, and wild accusations from people who are obviously uneducated. Commenters have told me that I don’t know what I’m talking about, that I don’t care about human health, that I’m in league with some organization whose work I actually oppose, or even that I hate women (because one of several persons whose work I criticized was female). Such comments are not only obnoxious, they are stupid. The troll metaphor is appropriate for two reasons. First, the trolls of mythology were stupid, ugly, and potentially dangerous (though perhaps slow‐moving). Second, the trolls of mythology could operate only under the cover of darkness. They turned to stone in the light of day. Likewise, Internet trolls sit alone with their computers, thrilled by the opportunity to annoy people who would never socialize with them in person. The first rule of Internet etiquette is “Don’t be a troll.” The second is “Don’t feed the trolls.” The Internet creates an environment where bad behavior is often rewarded but never punished. As any dog trainer can tell you, that’s a recipe for disaster. Never reward a dog for doing something that you dislike. Otherwise, you will essentially be training the dog to misbehave. Similarly, if you respond to Internet trolls in any way other than by deleting stupid comments and blocking repeat offenders, you are rewarding them with attention for behavior that should be discouraged. I usually delete stupid comments from my blog, unless the stupid comment offers a useful “teachable moment.” Likewise, I generally ignore abusive email, unless I want to get a better understanding of troll psychology. Such correspondence has allowed me to test a theory about trolls. Some trolls are just jerks. They just want to annoy other people. However, some trolls genuinely believe that they are participating in genuine intellectual exchange. These sincere trolls think that what they are saying is true and important. They think that they are dazzling you with their brilliance. If you break off the discussion with them, they imagine that they have “won.” They genuinely don’t realize that they are making fools of themselves. The sincere trolls are suffering from a problem called the Dunning‐Kruger effect. Psychologists David Dunning and Justin Kruger found that people with poor intellectual and social skills typically don’t realize that their skills are poor. Because of their lack of skill, they can’t notice their own mistakes. Nor does anyone in their daily life bring those mistakes to their attention. As a result, people with poor skills end up thinking that their skills are above average. In other words, ignorance and incompetence beget overconfidence. Fortunately, this problem can be solved through training. As the unskilled people’s skills improve, their overconfidence melts away. There seems to be a distressingly large number of sincere trolls in the United States. I think that the problem stems from failures in our educational system, which I’ve explained in my book Not Trivial: How Studying the Traditional Liberal Arts Can Set You Free. In the early 20th century, powerful people within our educational establishment decided to promote a method of reading instruction that slows down the rate at which people learn to read and leaves many people functionally illiterate. 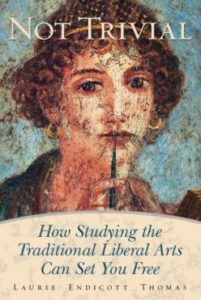 The rate of learning is so slow that many adults “don’t know much about history, don’t know much biology.” Our educational system also deliberately suppresses the formal teaching of the trivium: grammar, logic, and rhetoric. Yet those are the disciplines that you must learn if you want to go on to have real intellectual dialogues with other people, about any subject. The sincere trolls have never learned how to parse or reason. Thus, they cannot be persuaded by facts. Nor can they recognize the flaws in their own reasoning, even when those flaws are pointed out to them. As a result, they will be unwilling to learn anything until they discover that they have a lot to learn. Yet they will not make that discovery until after they have already learned a lot. So pity the trolls. Just don’t feed them. 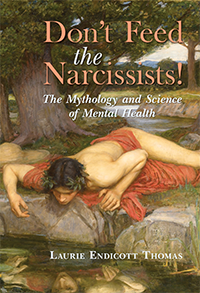 Update: I explain troll psychology in more detail in my book Don’t Feed the Narcissists! The Mythology and Science of Mental Health. Next Next post: Is Dyslexia Really a Learning Disability?